My 9 year old could eat corn on the cob everyday, without ever getting sick of it. 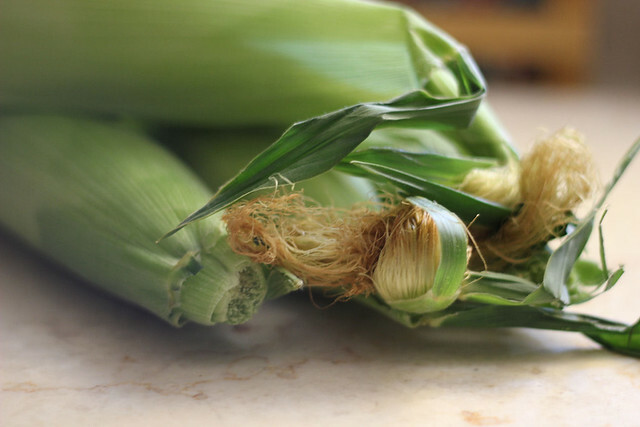 But for years I have struggled with finding the right way, the easy way, the best way to shuck and cook corn. It's just never been something I have quite mastered........until today. Well because a couple weeks ago, a link popped up on my facebook newsfeed, of an elderly gentleman showing us how to not only cook the corn to perfection in the microwave, but how to shuck it easily removing all the silk and with no work at all. I HAD to try it. Oh my gosh. I feel like such an idiot now because I keep thinking of all the times I've made corn on the cob and could have been doing it this way. So in case you are not yet familiar with this process, let me show you. 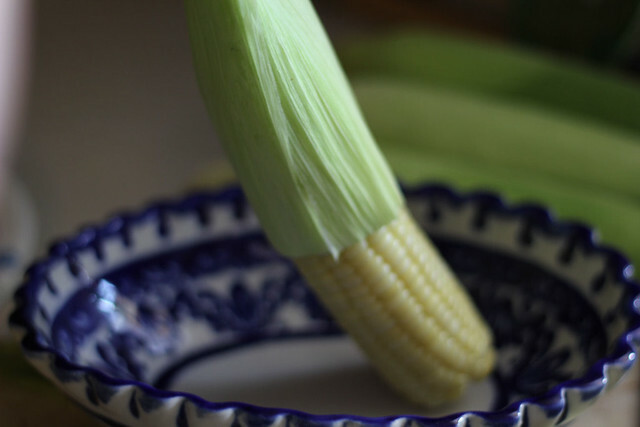 So, you are going to take the whole corn on the cob, without shucking, and you're going to microwave each ear for 4 minutes. Once it is done, carefully remove from the microwave and set down on a cutting board. 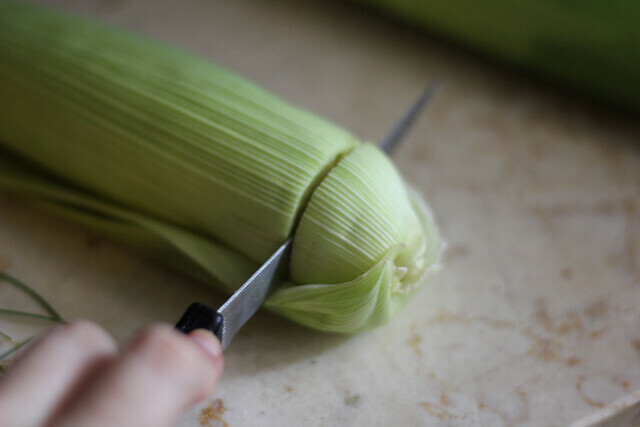 Using a knife cut off the husk. 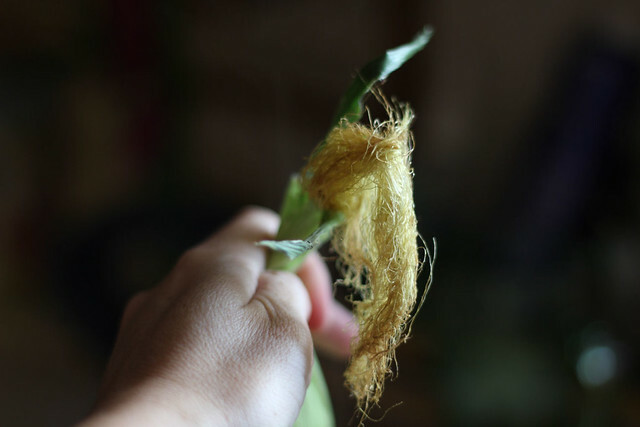 Give it a good shake and watch the corn slide RIGHT out, no silk whatsoever. 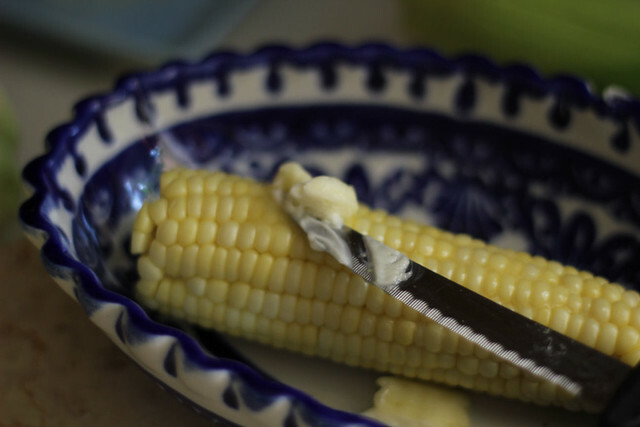 Slather on some butter, and enjoy some quick and cooked to perfection corn. It's THAT easy. I cannot wait to try this. I haven,t been buying corn because I haven't wanted to deal with it. Thanks for sharing! Holy cow! I have got to try this! Are you kidding me?! That seems so easy!! Why haven't I seen that before? Off to add to pinterest...thanks! Wow, really? I had no idea. 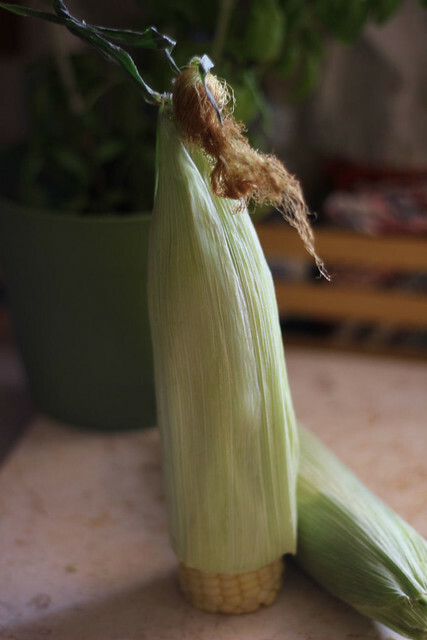 I just shuck it and boil it, or sometimes we soak it and leave the husks on and grill it, but I've never tried microwaving the whole thing, husks and all. Thanks for the tip! all I can say is after all this time it could of been so easy...are you kidding me???? lol!!! !